Here’s the trick: It’s all about the lip. Some cases have it. Some cases do not. What you want on your case is a little raised edge around the screen (rubber is best). Why? When your phone falls, it will eventually land face up, or face down. If you leave the screen exposed, you drastically increase the risk of damage whenever your phone is face down, even regardless of whether it fell or not. If it’s flush with the screen, it provides no protection for the glass. A little anecdote: I normally use a phone case with a such lip, and I’ve had my current iPhone for two years now. Not a scratch. I switched to a case without a lip for only four days to test it, and I had several large scratches on my screen protector (luckily not on the screen itself). It was so bad that my testing of that case stopped there. 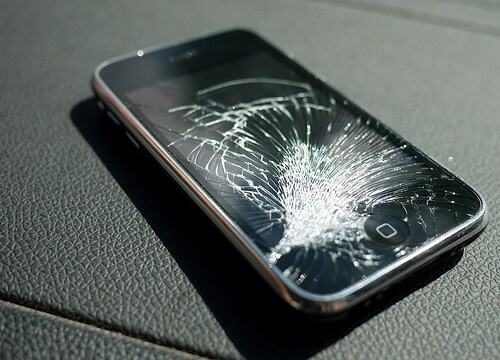 If you want more tips on how to protect your phone from damage, email me and I’ll send you a list of tips.